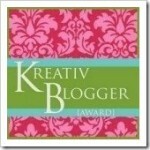 Last week I received 2 lovely blog awards. The first is from Preppy 101 of All Things Southern & Preppy. Thank you very much dear BF. What can I say about P 101 and her blog? We all seem to know her and love her and now she is going to be sharing her most fabulous journey of her daughter’s wedding with us. I can’t wait to hear all the details along the way. I hope her PD knows how lucky she is to have a mom like her! 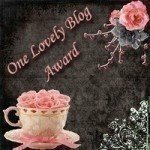 It’s from Posh Momma of It’s A Wonderful Life, a private blogger who is a fashionable and talented writer busy with her beautiful twincessess. This award says ‘I wish we were sisters’ and I do too since that would mean not only would I be The Posh Momma’s sister but auntie to those cute little sweethearts! Thank you, friend! Frau ~ The West Family Adventures. She is so humorous in a subtle way that it makes you think. I love following her adventures of an American in Germany. Check out her post of the statuary in Norway. Jon Gosslin. Still can’t get over how funny that was. Preppy Player ~ Frau’s real life sister. An athlete, a business woman, a mother to a ba-zillion kids (5) who could all make their living as A&F models. She has more energy than I have ever known. Alicia ~ Delightful & Delovely. 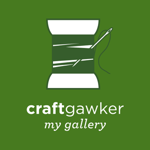 Her blog is a respite in my day. Truly delightful and delovely, gentle and nourishing. Take 5 and head on over to her peaceful world. The Pink Washingtoniette ~ This is a gal who knows her Lilly and can spot it on an OJ carton at a hundred paces! Her blog is also lovely and is inspired by her artistic eye. What a treat! She was so helpful in helping me to plan my trip to Ithaca. Thank you Melanie. 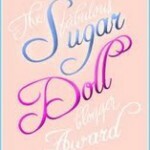 The Snooty Primadonna’s Guide To Cooking Like a Diva ~ It’s what for dinner. And her other blog ~ Snooty Primadona’s Sparkling Outlook on Life… or Not. This gal is definitely sportin’ some ‘tude and I love that. On her blog role her heading is ‘People I Stalk.’ How can you not love that? I would also finally like to give this award to Ronda of Stella’s Mom. I have been waiting for this momentous occasion for months. Come and get it girl, bring along your AARP card and join this exclusive club. 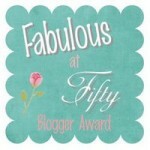 Your awards are filling up your blog! (As they should) Way to go! Oh! That is so nice of you and I sincerely mean that. I didn’t know it was Ronda’s birthday!!!!!! Awwww! You are such a sweetheart! I spent four freaking hours at the grocery store today, so I needed something to cheer me up. This did the trick! Thank you, thank you, thank you! Every time I read your blog it brightens my day & my life. You are a treasure! Thank you soo much!!!! I’m touched. You always have something great to say & thank God for smart women!!!!! Thank you so much! I am honored to be in the club! You make me laugh! My birthday in the 21st. I’m so impressed that you even knew the month!! Thank-you again!